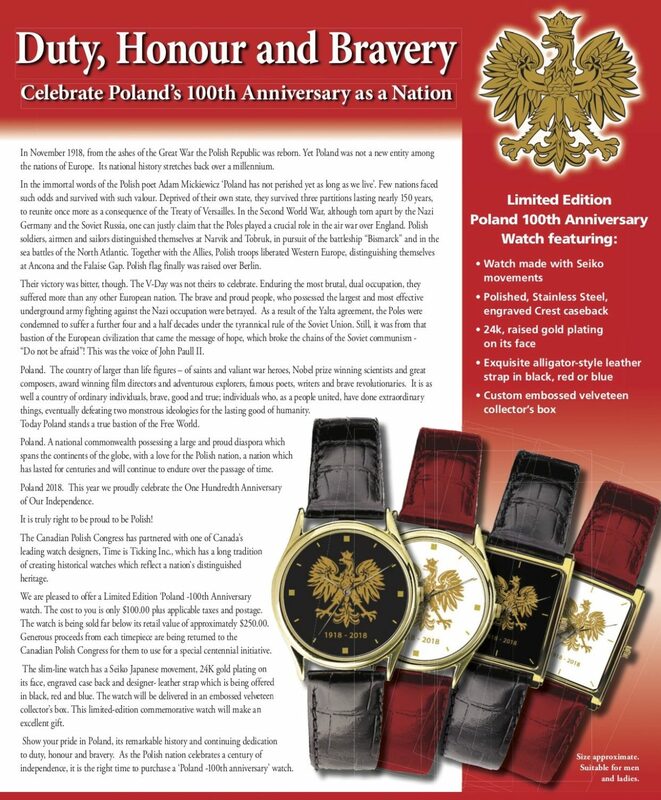 When I heard of this story, I was really fascinated: beautiful watches donated as gifts to hundreds of veterans, at the same time providing significant support for many charities (over 22 years around half a million dollars have been donated to numerous charitable causes). 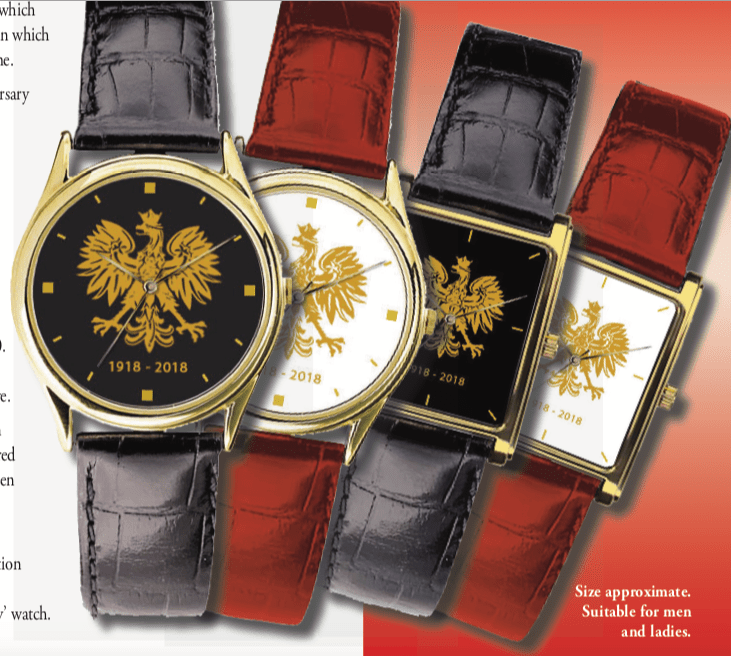 Now, on the occasion of the 100th anniversary of Poland’s independence, Robin Devine, herself not Polish but married to a man proud of his Polish roots and actively involved in Poland’s issues, created an exquisite Polish Eagle Watch to celebrate this special occasion. 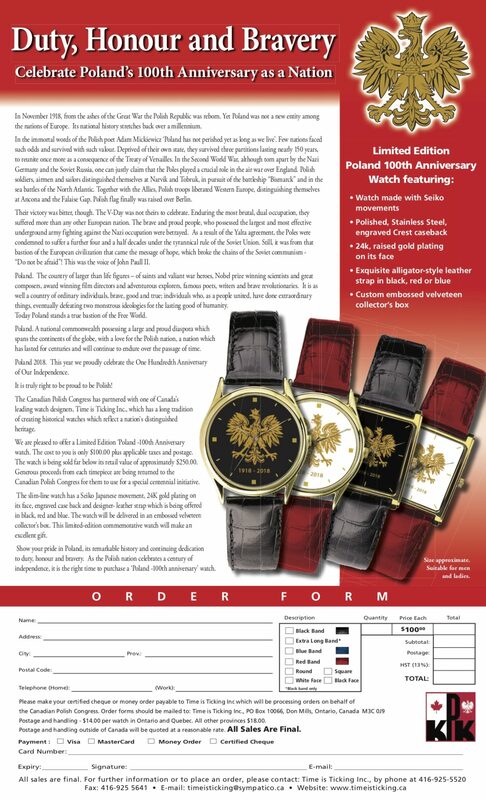 Whoever buys this special limited edition watch will not only make someone happy with a unique gift, but will also support a charity. Please, refer to POLcast when making the order. If you belong to a charitable organization and would like a portion of the proceeds help your organization, please contact Robin directly at timesisticking@sympatico.ca.